Market Technical View is a blog that mostly concerns the technical analysis of different financial instruments like indices, commodities, stocks, ETFs and currencies. All the posts are structured in 3 main chapters that can be found in Content, in the upper right-hand corner of the blog. Market perspective. The technical approach consists of chart patterns and important support/resistance zones. The purpose of this section is to give directions of the price on short and medium term (a few days up to a few months). Trading setups. 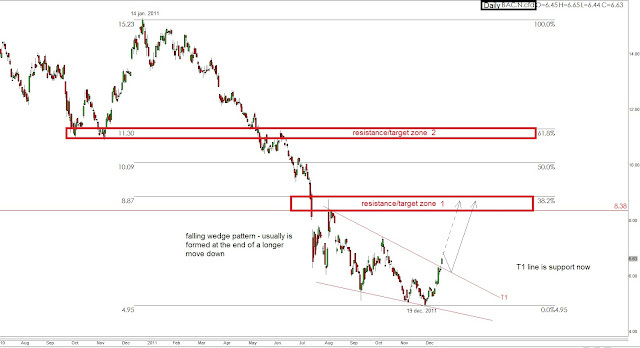 The analysis posted here will provide trading scenarios based on different technical tools. Romanian Market. This is a section dedicated to Romanian stocks and indices. Bank of America stock prices recovered well in the past days and the buyers managed to push prices above the T1 trend line that acted as resistance for the price in the last few months. 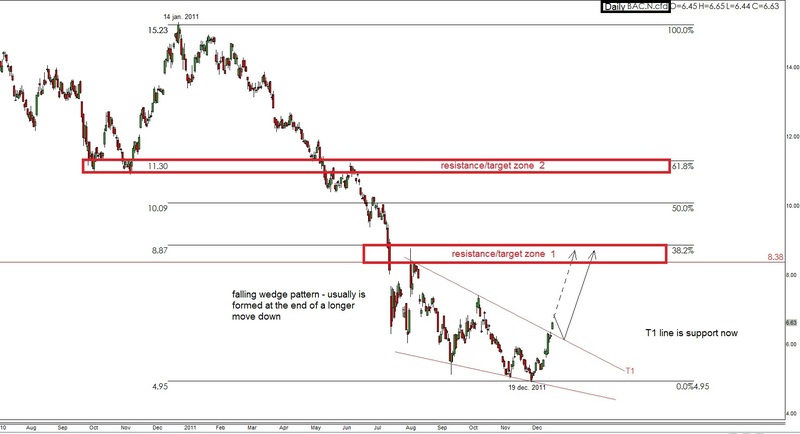 The price action formed a wedge pattern that usually calls a temporary bottom. The main target for Bank of America share price is set in the $8.38-8.87 area, given by previous local highs and 38.2% retracement of the 2011 decline. An ideal bullish scenario will be the successful retest of T1 trend line before the up-swing will resume (as shown in the chart below). Adrian Filip. Awesome Inc. theme. Powered by Blogger.